This post is sponsored by Panga Bar and Grill on Upper Nemahbin Lake. Do you have New Year’s Eve family traditions? Do you stay in for celebrations? Or are you looking to get out of the house, party down and ring in 2018? Since we have had our children, we have spent every New Year’s Eve with them. (Finding a babysitter on New Year’s Eve can be a tad difficult.) 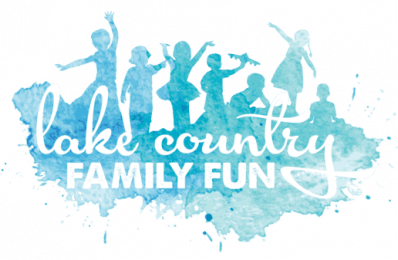 Luckily, there are plenty of options in the greater Waukesha County area to have a great time with the whole family! Check out our 2018 Family Friendly New Year’s Eve Celebrations Guide to plan your end of the year fun! Plus, we have some fun for your New Year’s Day as well! PS> There are actually 16 events listed, but one is on December 28 for those that want to celebrate early. Panga Bar and Grill: Nemahbin Lakes Polar Plunge 2019 on New Year’s Day! All proceeds to benefit the Alzheimers Association. Come watch the movie Mary Poppins Returns at 10:30 am on Saturday, December 29th for a sensory sensitive showing. Open skating from 10:00 am through 1:00 am. A festive way to spend the last day of 2018. Open paint times are available during the day, with a couples paint event at night on December 31. The game is in Milwaukee at 3:05 pm. Visit Ice Castles in Lake Geneva! If Ice Castles is open, this will make a memorable New Year’s Eve! Skyzone in Waukesha is having a New Year’s Eve Glow Party! All the fun doesn’t have to end when the ball(oons) drops – check out these fun events on New Years Day! First Hike through the State Parks. Here are some tips to stay warm when hiking in winter. Catch a $5 movie at Marcus Theatres! Looking for more fun over the winter break? Check out Lake Country Family Fun’s 30 Things to do over Christmas Break Guide! And if you are looking for more January fun, check out our 16 Things to Do in January Guide! We hope you enjoyed our New Years Family Fun Guide! How will you be spending your time time as the 2019 New Year rings? Thank you for all this great information! I really appreciate all your hard work to get this out for all of us!